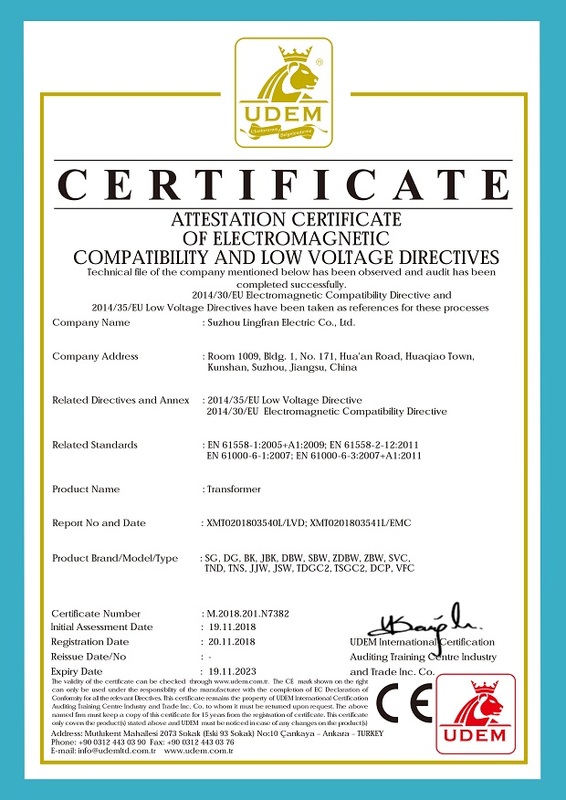 Company Overview - Suzhou Lingfran Electric Co., Ltd.
Suzhou Lingfran Electric Co., Ltd is a integrated enterprise with R & D, manufacture, sales and service. With more than 5000 square meters international standardized factory and more than 200 skillful employees, we mainly manufacture and export voltage stabilizers, voltage regulators, dry type transformers, variacs, variable voltage and frequency converters, DC power supplies, etc. We have been passed ISO9001 quality management certificate system, now we have certificates of ISO, CE, etc. and Lingfran products can meet the needs, like green, energy saving, sustainable and environment-friendly of social and economic continuously development.With advantages of wide application range, state-of-art technology, high quality, competitive prices and stylish designs, Lingfran products are widely recognized and trusted by worldwide clients, by the end of 2017, Lingfran products have been exported to more than 100 countries and areas.You're warmly welcomed to contact us and visit us for future business relationships and mutual success!